We have one major objective… to facilitate the transition to a sustainable energy future. To move away from fossil fuels as the primary driver of our economy to Solar electrification. In our target residential market, this will include Solar systems to power our homes as well as our electric cars.Why chose the residential market? For many in the Solar industry, there are bigger economic returns in the larger scale commercial and utility scale Solar projects so a lot of the current emphasis is in those markets. However, at EC, we have embraced the triple bottom line business model… people, planet, profit. So if there is an unfilled gap… i.e. the residential market… we will move to fill it. Just a point of note… We prefer the term sustainable energy to renewable energy. While the term renewable surely captures the move away from the depleting fossil fuel model, it does not address an issue we have with some renewables that may not be sustainable. As an example, when there was a big push several years ago toward redirecting corn to ethanol production for cars, we redirected a scarce resource (corn as food) to another use (corn as fuel). This had a significant negative global impact, and as such, is not sustainable in our way of thinking. This is in addition to the fact that we still burn these renewable biofuels… we believe it is necessary to move away from burning everything in sight. Another scarce resource we have to consider when we are dealing with sustainable energy sources is water. As an example, the amount of water that it takes to extract and process tar sands and frack for natural gas has to be added to the already significant environmental impact these energy sources incur. Based on this perspective, you can see why we will be pushing hard to maximize Solar adoption. Although superstorm Sandy was only one event, it is a part of an emerging pattern. We are in a “new normal” for weather… one that will be more erratic and extreme. 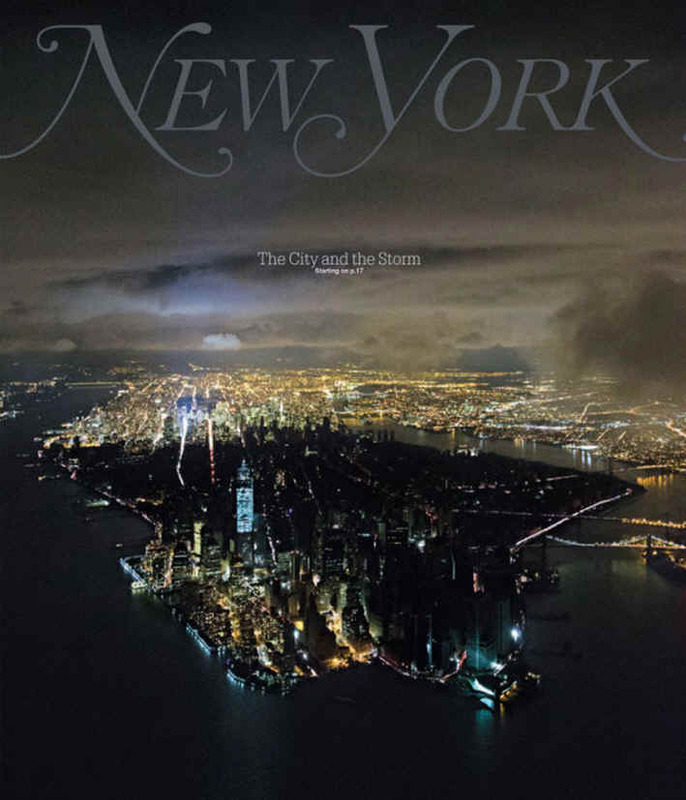 After Sandy, over 4 million people in NY and NJ were without power, some for several weeks or longer. The subways and underground rail systems were underwater, jeopardizing the integrity of their electrical systems. A special New York commission is investigating calling for flood walls in subways, water pumps at airports and sea barriers along the coasts. One thing I think everyone can agree on, it had a huge impact. But for the most part, only those that experienced it firsthand, primarily those in NY and NJ, are taking significant action. New York’s governor Cuomo wasted no time in taking action to shift toward clean sustainable energy, as is evidenced by his State of the State speech in early 2013. In setting up a number of Solar initiatives, he recognized the positive impact that investment in Solar could have, not only on the environment, but on creating jobs and boosting the State’s economy at the same time. Sandy has had ripple effects well beyond just the Northeast… it was recognized at a global level as a harbinger of things to come, as evidenced by UN chief Ban Ki-moon’s remarks from the following news clipping. The scope of people who have connected the dots continues to expand, now including Democrats and Republicans. There are even executives in the electric utility industry that have been trying to promote action for years… they are all finally getting a voice. If we are experiencing these weather effects now, what does the future have in store as the energy demands from rapidly growing economies like China and India take off? Not only do we need to ramp up our transition to clean sustainable energy, we need to cut back on wasted energy. There is only one silver lining to being as wasteful of energy as we are… significant energy savings can be achieved easily and cheaply.. there is a ton of low hanging fruit. We just have to become Energy Conscious and have the will to act. As we move forward to a more sustainable energy future, we have to consider all the moving parts… not only locally in the US but globally as well. Like it or not, in our ever shrinking global civilization, what happens in places like China can have a significant impact on us here in the US… we truly are all in this together. At a recent Solar conference, there was a last minute addition to the program… Solar for Emergency Preparedness. The focus of the session was on the aftermath of Superstorm Sandy and what role, if any, did Solar play. 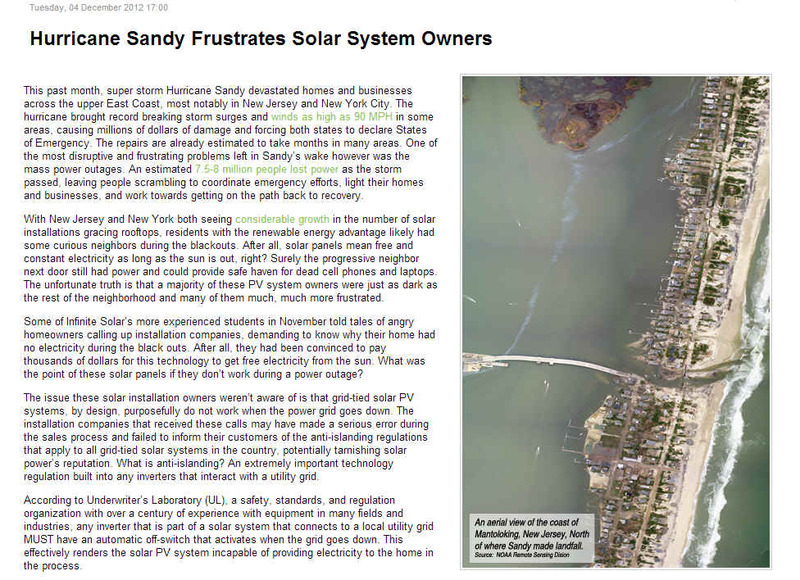 A CUNY (City University of New York) representative relayed the story of interested parties calling in from all corners of the globe… how did the sizeable base of installed Solar systems in NJ and NY fare during and after the storm? The good news was that unless the roof blew away, these Solar systems were undamaged and able to operate. The bad news was, when the sun finally emerged, the surviving Solar systems did not generate a single watt of power… the grid was still down. The news clipping above highlights this unfortunate state of affairs, but at its core, virtually all the regions installed Solar systems were “grid tied”. By design, this configuration will immediately shutdown when the grid goes down to avoid pushing power into a damaged grid, potentially putting repair crews at risk. 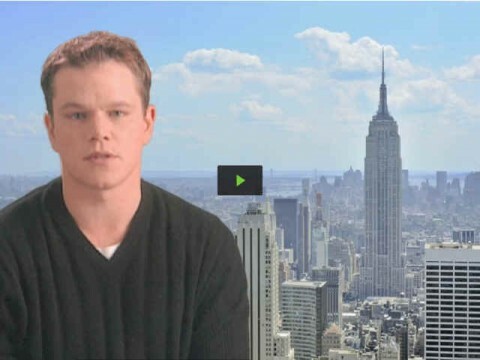 The real eye opener is that many customers were completely caught off guard and frustrated. From an emergency preparedness and resiliency standpoint, we believe that critical infrastructure and emergency shelter locations should be high on the priority list. There was one light shining in all the post Sandy darkness and it came from a high school emergency evacuation center in Bayonne NJ. Find Out More…. Although this unique configuration did keep the lights on, new simpler configurations are emerging specifically to address temporary grid outages. Another fallout from Superstorm Sandy was highlighting the vulnerability of our aging electric grid. Our current electricity grid is not so much one of design as much as it is one that evolved through incremental extensions. Consequently, it has not kept pace with the recent changes in new types of load such as all our digital devices as well as the increasing addition of renewables like Solar (and wind). Renewable energy sources are inherently intermittent. In the case of Solar, clouds moving thru can cause dramatic swings in output. Most people can’t appreciate, that the electric grid is a one way flow thru system and that it is dynamically balanced in real time by magicians known as grid operators. As you and I turn things on and off, these unsung heroes are vigilantly monitoring and adjusting supplies to ensure constant, stable power to our homes and businesses. However, adding intermittent supplies to intermittent loads is forcing the grid operators into new territory and they need all our help to sort out a workable solution. Finally, a good portion of the grid infrastructure is old and deteriorating. Unfortunately, utilities have felt that there were insufficient financial incentives to pursue any significant grid improvements. However, a combination of events topped off by Sandy may finally be getting the ball rolling. Adding to current concerns for our aging grid is the emergence of potentially significant and unanticipated new loads from electric vehicles (EVs). Trying to pin down a single estimate of cost is not a practical exercise. What there is consensus about, however, is that the for every dollar invested there are $3-$4 of value returned. There is also another fact that is finally getting some mind share… we cannot afford to put off grid modernization any longer. 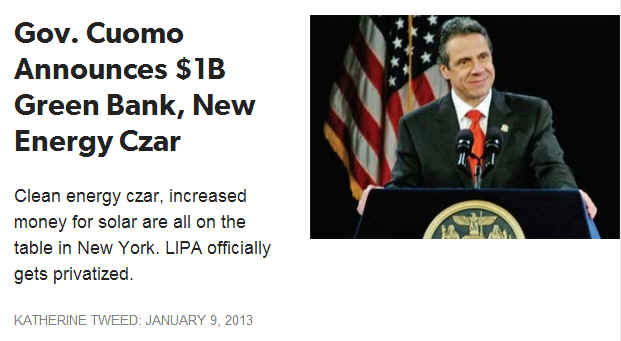 If there’s one thing that came out of Sandy …it is that the cost of inaction is more than we can afford. So… will it be $1 investment for $3-$4 return… or no investment and billions in losses?